Samsung’s Galaxy S3 Mini GT-I8190 has just received an update to the most recent Lollipop update 5.1.1 using OmniROM. So all those S3 mini GT-I8190 users who were waiting for a firmware based update can now flash the Android Lollipop 5.1.1 to their handsets. The build number for the update is LMY47V which was also used by Google to update the Nexus 10 tablet. However, there are a few features and bug fixes part of this update. Since the update is in the beta phase, customization and bug fixes are part of the 5.1.1 release. Let us look in to some details of the update. The OmniROM 5.1.1 has connectivity improvements in terms of VPN services. The call drops that were part of the previous update have been fixed as well. A new dark mode has been added along with backlight button support. The battery indicator style have also changed significantly. The offline charging mode has some bugs to it which are now removed. Plus, now you can also configure system applications. These are some of the highlighted features of the Omni 5.1.1. However, video recording has faced some issues which will probably be considered by Google later in the future. Ensure USB Debugging is enabled. Go to Settings >> About Phone >> Repeatedly tap on Build Number until a message pops up saying, ‘You Are Now A Developer’. Now again, go to Settings >> Developer Options >> Enable USB Debugging. Your phone’s battery must be more than 70%. Make sure youe data is backed up. S3 Mini should be rooted with the latest recovery system installed. Perform wipe cache partition and wipe delvik cache if phone gets stuck on reboot after you have flashed the ROM. Make sure you flash the OmniROM only on Galaxy S3 Mini GT-I8190, if you do not consider it then you might end up bricking your device permanently. You might encounter some bugs since the update is still in the beta phase. Download OmniROM and GApps and copy them without extracting to your phones internal storage. Make sure you remember the location where you put them. The files should not be in any folder but the SD card root. Next you must Download TWRP Recovery on your phone. Download them from the links. Boot your S3 Mini into recovery mode. Do this by switching off your device and press and hold Volume Up, Home and Power button. Keep holding until you see the TWRP logo. When it appears back up the current ROM by going to the recovery menu and select Backup. Now Swipe to perform ‘Swipe to backup’. Once the above operation is complete, perform the wipe delvik cache and wipe cache partition as well as complete factory wipe. Now head over to the main recovery menu and select Install. Here you must navigate to the copied ROM files from Step 1. Select it and perform ‘swipe to confirm flash. You must wait for a while until the installation is complete. Perform the above operation to install GApps the same way. When you do this, select Reboot from Settings by going to the TWRP recovery menu. When your device reboots, your device will be running the Android 5.1.1. Make sure you give 10 minutes to the device after boot up for enhanced experience. And there you have it folks, your Galaxy S3 Mini GT-I8190 has flashed to the Android 5.1.1 Lollipop with OmniROM. However, since the OmniROM is not a pre-rooted version, you might lose the root status after flashing the ROM. 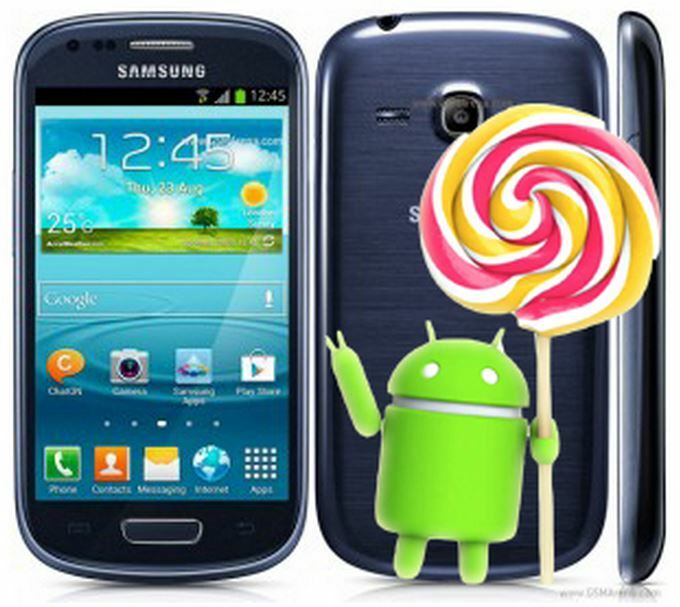 You will have to do it again manually on your Galaxy S3 Mini. As for now, let us know your experience with the Lollipop build in the comments below.